Today marks the 100th anniversary of the birth of Juan Bosch (June 30, 1909-November 1, 2001), leading Caribbean intellectual and former president of the Dominican Republic. He was a politician, historian, writer, and educator. [Also see previous posts Dominican VP Margarita Cedeño Lauds Juan Bosch’s Legacy and Juan Bosch (1909-2001).] In his honor, here is an obituary from the Los Angeles Times, which rendered tribute to his legacy upon his death in 2001. 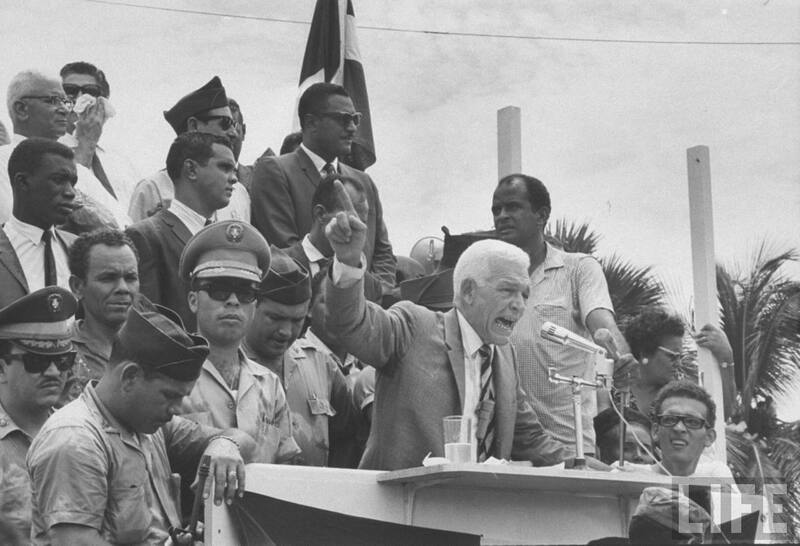 Juan Bosch, a former president of the Dominican Republic whose name is forever linked to the U.S. invasion of that island nation in 1965, died Thursday in Santo Domingo after a long hospitalization. He was 92. A self-educated author of about 40 books and founder of two of the nation’s three political parties, Bosch exerted an influence as a reformer on a generation of Caribbean politicians that extended far beyond his short time as president. A onetime Marxist who repudiated the label in later life, Bosch came to be seen as a humble, quixotic man of principle who fearlessly stood up against entrenched interests in Dominican politics. Bosch was the Dominican Republic’s first democratically elected president after the assassination in 1961 of dictator Rafael Trujillo, who had clung to power for three decades. But Bosch’s plans to redistribute land and appropriate some private businesses provoked a right-wing coup d’etat only seven months after he took office. His leftist policies at the height of the Cold War had made President Lyndon B. Johnson fearful of another Cuba-like state in the Caribbean, said Robert Pastor, a political scientist at Emory University. A counter-coup in 1965 by leftist officers who planned to return Bosch to office provoked an invasion by U.S. Marines and soldiers from member countries of the Organization of American States. The troops occupied the island nation for several months until Joaquin Balaguer, a former Trujillo aide and a staunch U.S. ally, won a presidential election. Pastor said that Bosch, far from emulating Cuban dictator Fidel Castro, was more concerned about “casting away the vestiges of authoritarianism” from the Trujillo era. After the 1965 coup, Bosch went into exile in Costa Rica. He returned a year later for the first of three unsuccessful runs for president, twice against Balaguer, his long-standing political rival and nemesis.